Cancer is a word that strikes fear into most people. Brain cancer increases that fear exponentially. Cancer scares us but brain cancer terrifies us. In order to ease that fear a little, some knowledge of what it is and what to expect is needed. Also, the knowledge of what to do and the timeline to do it in will also alleviate the terror. Primary brain cancer develops from cells within the brain. The brain is the control center for all of the vital functions of the body that keep us alive. 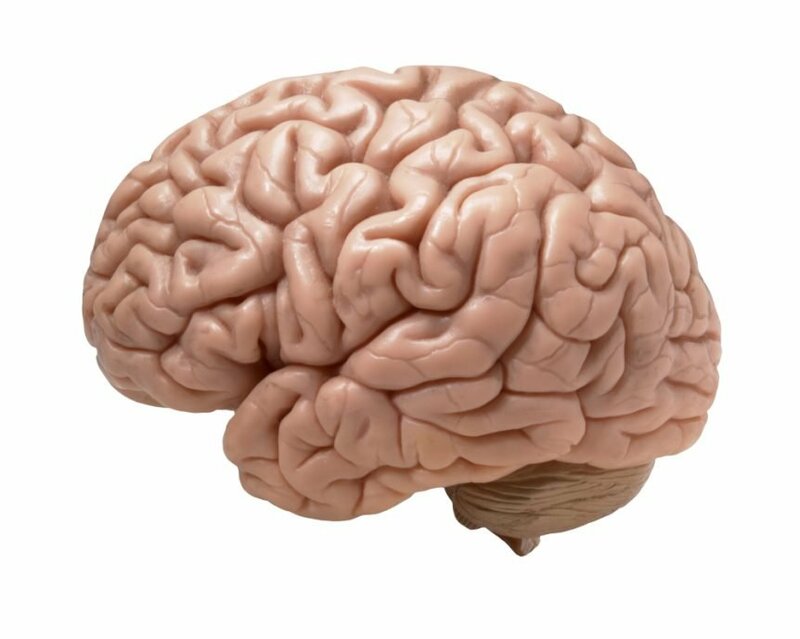 Speech, movement, thoughts, memory, vision, hearing, and many more functions are all controlled by the brain. Primary brain tumors are classified by the type of cell or tissue that the tumor affects, the location of the tumor and the “grade” of the tumor. Primary brain tumors may travel small distances within the brain, but usually won’t travel outside of the brain itself. Secondary brain tumors, or metastatic brain cancer, are tumors that started somewhere else in the body then traveled and spread to the brain. These are the most common types of brain cancer and the cancers that most often spread to the brain are lung, colon, kidney, and breast cancers. The symptoms are caused by the tumor pressing on or growing into other parts of the brain and keeping them from functioning normally. Some symptoms are caused by swelling in the brain primarily caused by the tumor or its surrounding inflammation. The symptoms of primary and metastatic brain cancers are similar in men, women, and children. Headaches, especially occuring in the morning then getting more persistent and severe as time goes on. Muscle weakness, often showing up on one side of the body more than the other, “pins and needles” feelings in skin or lack of feeling of touch. Clumsiness, lack of balance or coordination, difficulty walking, fatigue in arms or legs, dizziness and vertigo. Seizures, altered mental status, nausea and vomiting, trouble with speech or vision and personality changes. Grade I: The tissue is benign. The cells look nearly like normal brain cells, and cell growth is slow. Grade III: The malignant tissue has cells that look very different from normal cells. The abnormal cells are actively growing. These abnormal-appearing cells are termed anaplastic. Grade IV: The malignant tissue has cells that look most abnormal and tend to grow very fast (aggressive). It is imperative to get medical help as soon as possible if brain cancer is suspected. 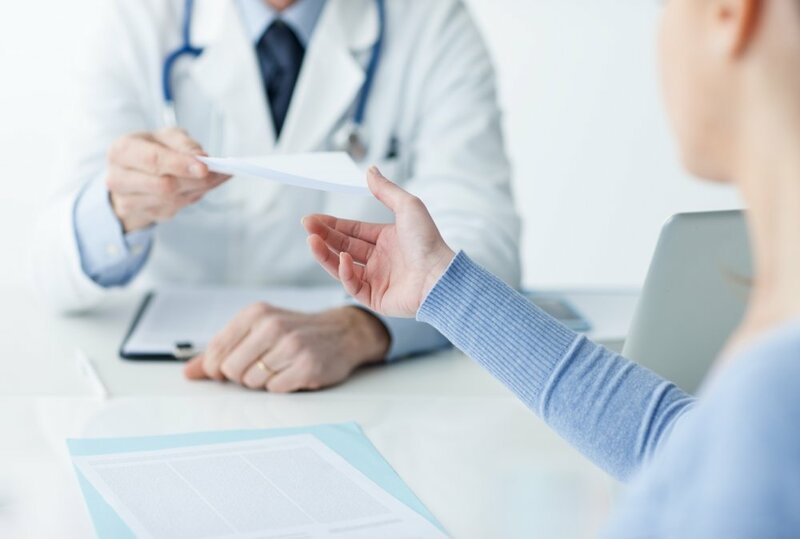 After an examination with a primary care physician, and a brain tumor is a possibility, the doctor will have the person undergo some fairly standard procedures. A CT Scan will most likely be the first test the person will have. This is also known as a CAT Scan, or Computerized Axial Tomography Scan. These x-ray tests produce cross-sectional images of the brain (or any body part that is being scanned) by using x-rays and a computer. The high resolution images can detect small nodules or tumors which cannot be seen with regular film x-rays. CT Scans are commonly performed procedures and can not only be done in hospitals, but also in outpatient offices. Usually, a dye, referred to as a contrast material, is injected to highlight abnormalities on the scan. One other scan that is used and is of utmost importance in the diagnosis of brain cancer is the MRI, or Magnetic Resonance Imaging. An MRI is similar to a CT Scan in that it produces cross-sectional images of the brain. Looking at images of the brain in cross section can be compared to looking at the inside of a loaf of bread by slicing it. Unlike a CT Scan, MRI does not use x-rays. Instead, it uses a strong magnetic field and radio waves to produce very clear and detailed computerized images of the inside of the body. MRI is commonly used to examine the brain, spine, joints, abdomen, and pelvis. A special kind of MRI exam, called magnetic resonance angiography (MRA), examines the blood vessels. 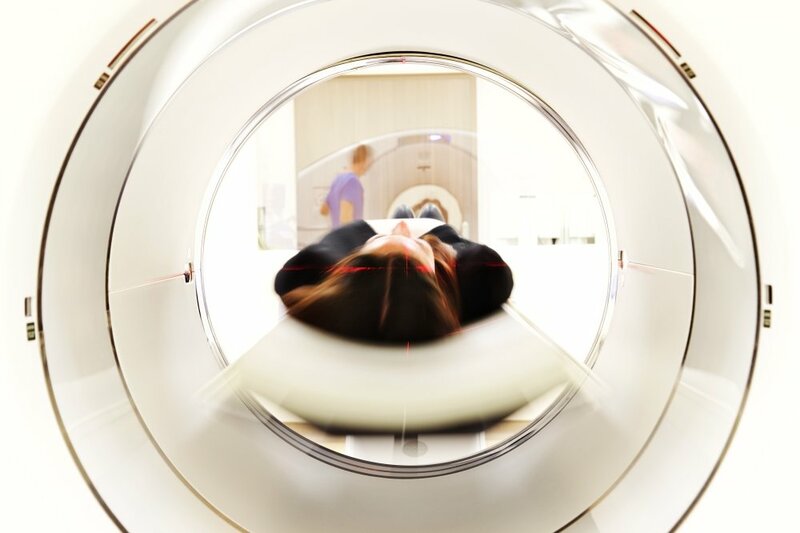 The MRI scan is performed inside a large magnet, and the person lies on the table in the center. During the procedure, the machine scans the body by turning small magnets on and off. Radio waves are sent into the body. The machine then receives returning radio waves and uses a computer to create pictures of the part of the body being scanned. The radio waves used in the procedure are safe and are similar to the radio waves used in a car radio. If a CT Scan or MRI scans indicate the presence of a brain tumor, the person will be referred to brain surgery (a neurosurgeon). The person may also be referred to a specialist in radiation therapy called a radiation oncologist and a medical oncologist if they specialize in the chemotherapeutic treatment of brain tumors (a medical or neuro-oncologist). If you or a loved one suspects brain cancer, it cannot be emphasized enough that prompt medical attention is imperative immediately. Brain cancer is scary and the more a person knows and the sooner a person knows it will help it be less frightening. With all this said, it is important to remember that brain cancer is rare. In fact, the average risk of developing a malignant brain tumor is less than 1 percent. However, also remember that even benign brain tumors are considered harmful and do require treatment because of pressure and damage they can inflict on the brain. If you or a loved one does have brain cancer, it is important to be seen by physicians with expertise in performing cancer related surgical procedures on the brain and nervous system and the supporting structures of the system. Brain cancer can be and is treated every single day. Because of the invention and now everyday use of CT Scans and MRI procedures, brain cancer can be treated and lives are saved.